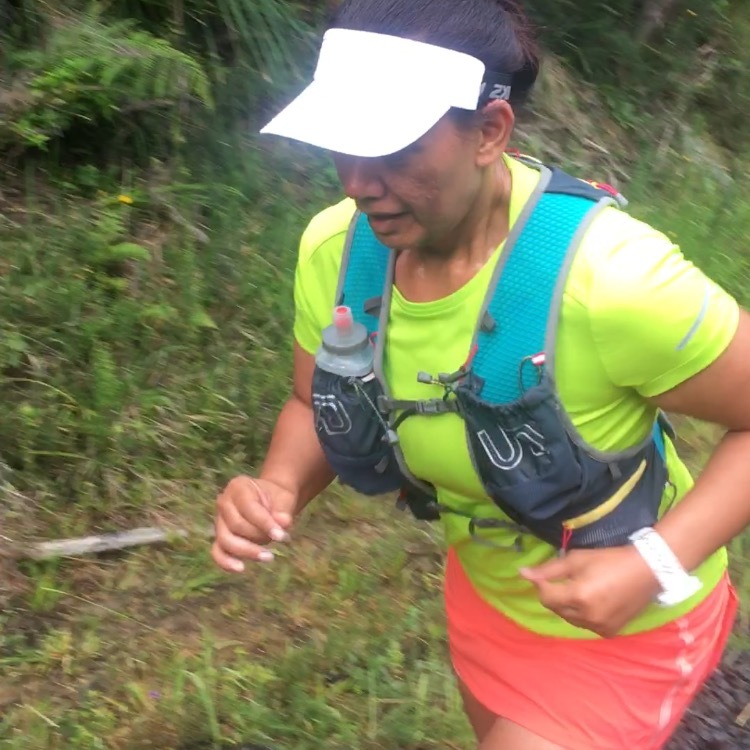 On one of our Saturday morning trail running “dates”, James and I ran a modified version of a loop course that I’d read about on a Waitakere Trail Running blog which included the Pipeline Road. Now to be fair, when I say “read” I actually mean that I looked at the pretty photos and checked the distance to ensure it was manageable. The original loop as written started and ended at Exhibition Drive (so more like a lollipop than an actual loop) however we chose to start and end at the visitor centre which made our course an actual loop. Now here’s why I should have read the finer points of that original blog post. In my head I imagined that we’d run down Slip Track (which through experience I know is a steep descent) to get to Pipeline Road and then to get back to the Visitor Centre we’d have to run up Beveridge Track (so a semi steep ascent) therefore it seemed logical (to me) that Pipeline Road would be flat. 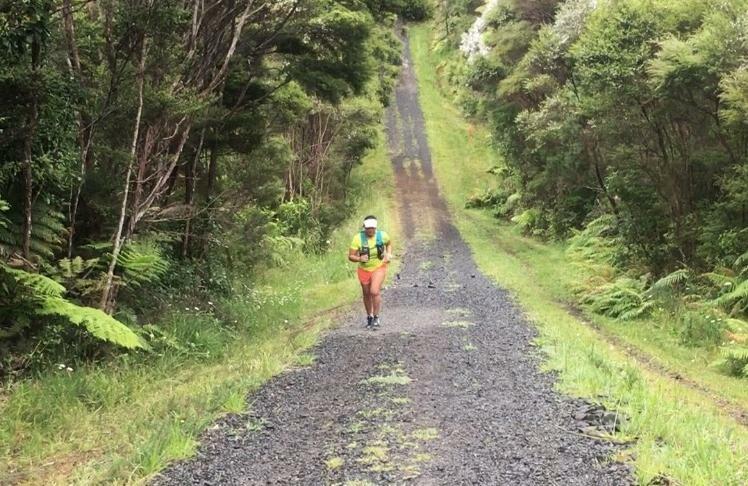 Pipeline Road – Undulating gravel road with a sharp steep section in the middle. Links to Exhibition Drive by a steep road section. By the way I personally don’t think sharp steep section is descriptive enough. Imagine that you are standing on a beach in the middle of a Tsunami (obviously you wouldn’t actually do that, because you are not an idiot – but we are just imaging, so it’s all good). So there we are standing on the beach during a Tsunami when a tidal wave as tall as Mt Eden rolls towards us (I do realise this analogy only works if you live in Auckland, so if you don’t know how big Mt Eden is think of something really really really big) – that’s probably more in line with how steep the aforementioned sharp steep section is. James and I concluded that although it’s hilly (and I’m not a hill lover) and it’s not particularly scenic (although I thought it was pretty) it’s a great run in that although it’s not much fun (on the Julia scale of funness) it’s undoubtedly a bloody great workout! Location – Pipeline Road can be reached from the end of the Slip Track or from the Huia Road, Exhibition Drive intersection. Directions (from the CBD) – For the Huia end of Pipeline enter 394 Huia Road into your GPS, the entrance to Pipeline Road is directly opposite it. For the Slip Track end drive to the Arataki Visitor Centre on Scenic Drive, Titirangi. Parking? 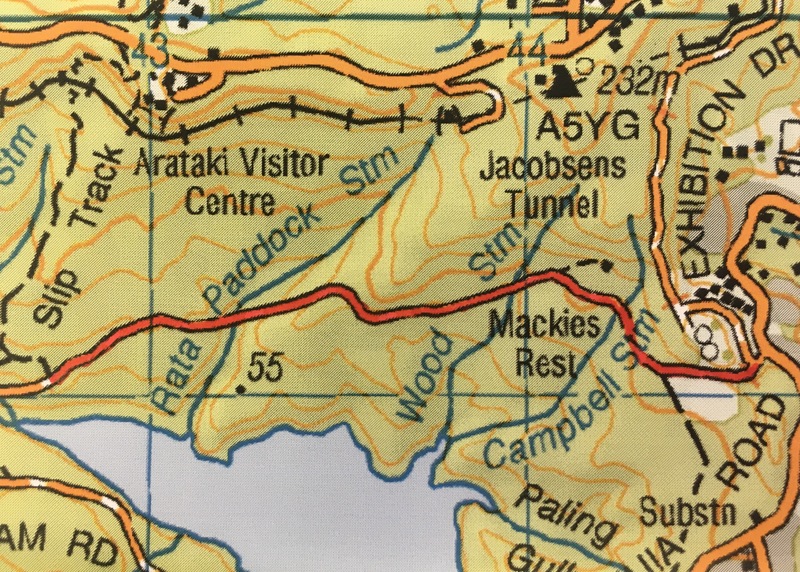 – Minimal at the Huia End, although you could park at Mackies Rest further along Exhibition Drive, however there is a large parking area at the Arataki Visitor Centre. Toilet Facilities? – Only at the Visitor Centre. Kid Friendly? – I doubt any kid wants to see a tidal wave.